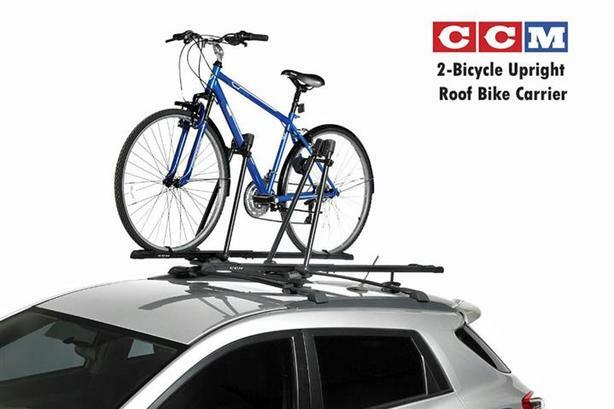 The CCM 040-1195-4 Roof Bike Carrier is an affordable 2-bicycle bike transport solution that allows users to haul their bicycles atop their roof rack without having to remove its front tire. 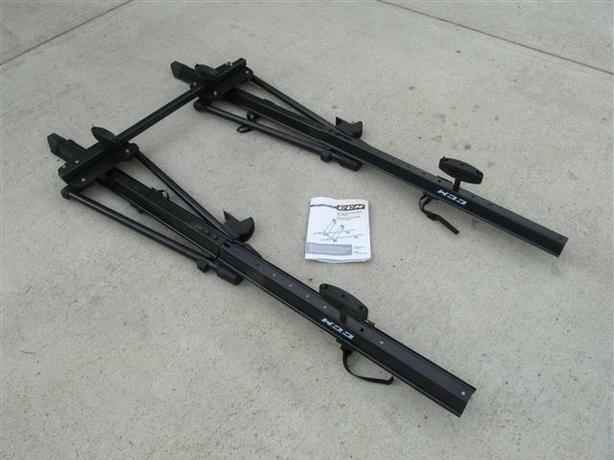 It provides maximum stability and protection through a variety of features, including: 2-bike capacity, a center upright support element with an ergonomic frame tightening knob, universal mounting hardware, an adjustable wheel tray and locking functionality. 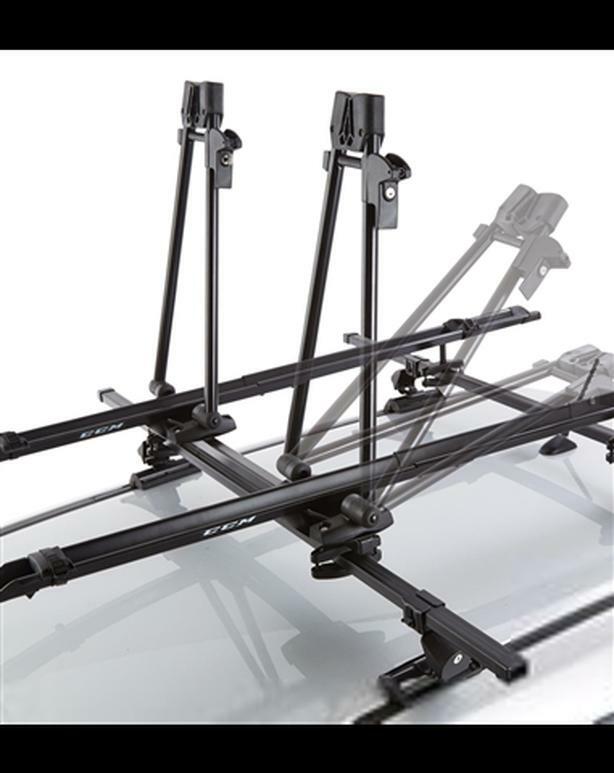 Built around two rack-supported wheel trays and integrated support arms/clamps that together provide premium support functionality. It has a two-bike carrying capacity. 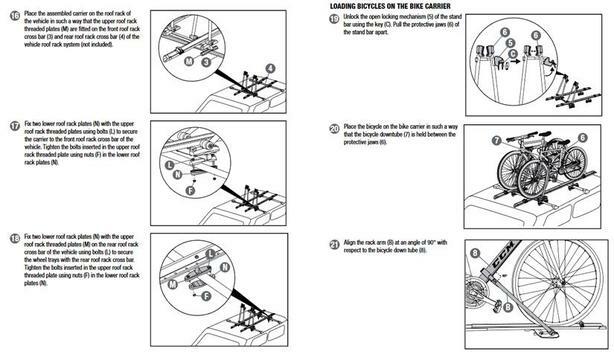 Mounted bicycles are always stable and secure, while the streamlined layout of the carrier makes it very easy to install and remove. 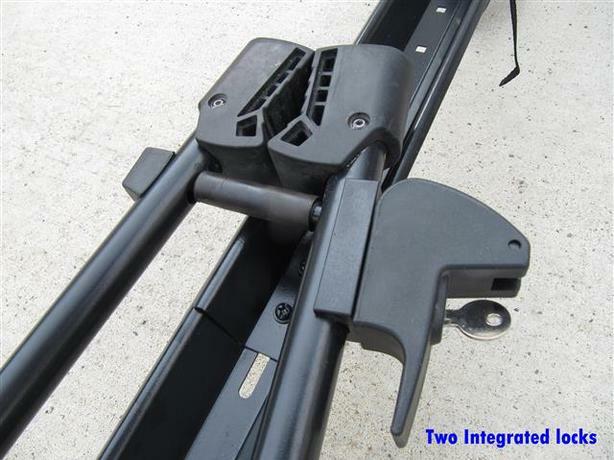 The carrier utilizes universal mounting hardware that allows for compatibility with most factory and aftermarket rack configurations, including SportRack and Thule square crossbars, and round and rail type crossbars. 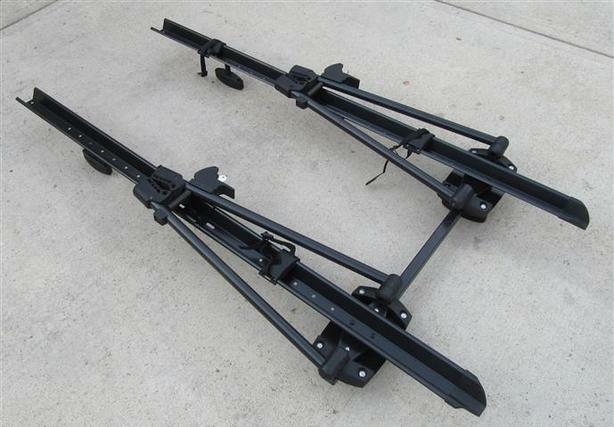 Its two telescoping wheel trays extend to allow quick installation, in most case without the need to alter the existing positioning of crossbars. 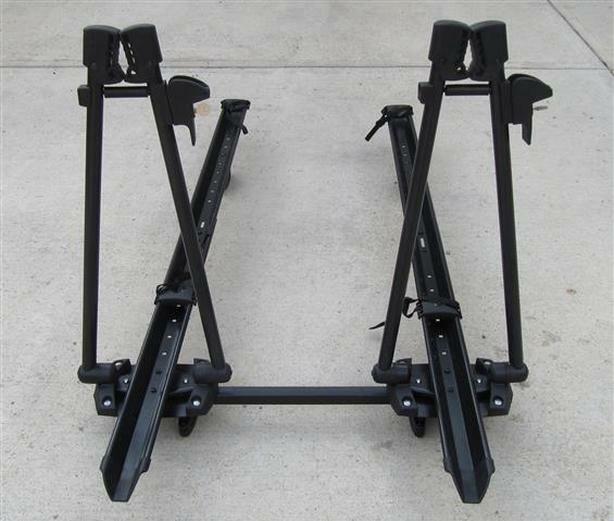 Wheel straps at the front and rear of the trays provide bikes an initial connection to the carrier, while upright support arms are moved into position. The support arms feature jaw like grips at their terminus. Dual grooves in the grips ensure that gear cables running along down tubes are not disturbed during clamping. 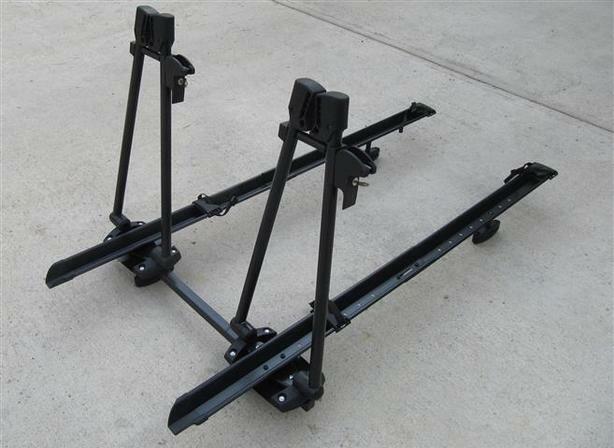 The jaws of the supports are compatible with most elliptical and standard bike tubes. An integrated lock allows bikes to be locked to the carrier. When not in in use, the support arms fold back in an aerodynamic position to reduce wind noise while driving.